There were a few things that drove me to choose Rollins over other potential colleges. Rollins promised me inclusivity and an equitable playing field for everyone attending. I was promised rainbows and diversity, with events to match. The reality I experience on campus, however, is very different. I come from a small town in North Carolina where I am surrounded by dip cans and “smile, sweetheart.” I ran to Florida to find somewhere safe, where a second-generation Cuban American bisexual woman could be herself and could trust that it would not only be allowed, but embraced. It is my fourth semester on this campus, and I feel as though those things that had been promised to me are far from robust. Here, the Lucy Cross Center, known fondly as the Lucy, is undergoing major changes that will negatively impact its effectiveness. A previous article by The Sandspur found that despite recommendations to increase the Lucy’s size and scope, both were reduced. Key staff leaders of the program were cut, and the organization has no definitive director. Almost all good work being done by the organization is being disrupted. Yes, the administration will argue that the Lucy is having “more events than ever before,” but there is a difference between quantity and quality. I believe the word of the Lucy’s work-study students, who say their work feels undermined, more than the people who made the decision to cut the Lucy’s staff. Hurting the Lucy hurts all students on campus. I do not know where I would be without the office; they give me a home to cry in and powerful women to help me stand up when I fall down. They put on programs that help to make this campus safer and more inclusive, and the Lucy is filled with people trying to make change. We all know Rollins’ mission of global citizenship and how important activism is said to be on campus. However, Rollins’ actions do not align with its words, and its recent decisions with the Lucy showed students what Rollins really thinks beyond its empty promises. Rollins says it cares, but women are constantly receiving the short end of the stick in terms of funding and media coverage of events. I ask, what if the Black Student Union had been subjected to the same lack of concern? Or Spectrum, an LGBTQ+ organization? What if the Pinehurst building were to be torn down in the middle of the school year? Students would be rioting on Mills if these budget cuts and building changes happened to an “important” part of campus. This slides under the radar because it is nothing but a place for women and gender-nonconforming people, and those spaces are trivialized and not treated with importance. Rollins administrators are ignoring the fact that, whether they like it or not, women’s issues impact everyone. Men, women, and nonbinary people either know someone or are someone who can benefit from the services and programs provided by the Lucy. What Rollins does not recognize, however, is that it is making a very specific statement by reducing Lucy staff. Rollins is inadvertently telling students that it does not care about women’s issues, so how does it expect to have students take the issues seriously? Why should a fraternity brother care about Title IX training when resources meant to help minorities and underrepresented students are being appropriated and used elsewhere? They can tell that the school does not prioritize those students, so they need not worry about them either. The reality is clear and one that Rollins needs to validate through its words and its actions: women’s issues are unavoidable. We are the majority of the population (especially on campus), and we are fighting every day for a more equitable nation. As much as Rollins wants to ignore its social shortcomings, the demolition of Chase Hall, and the Lucy with it, is unavoidably affecting every person on this campus who is not a man, and we need to start acting like it. I recognize that underfunding and a lack of attention is far from the end of the world, but that does not mean the ramifications are not serious. The impacts of this inaction are small, but when they become repetitive, they become erosive. 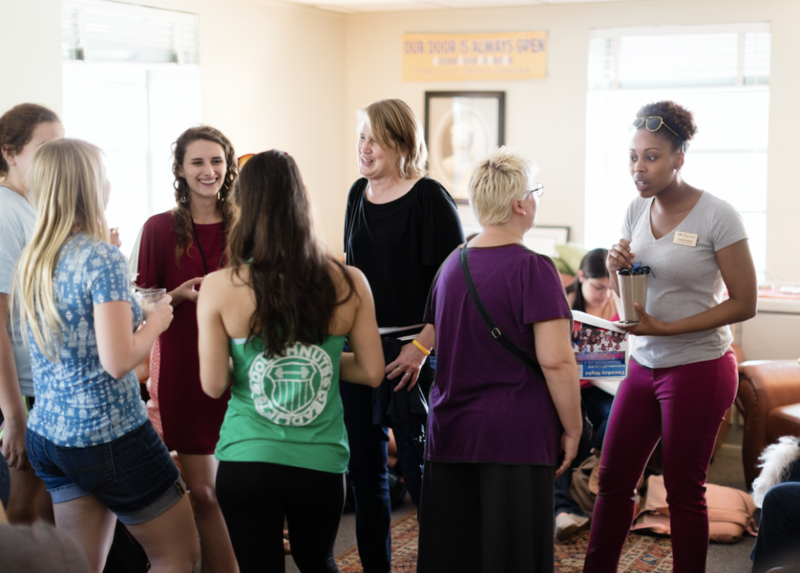 Rollins has already announced an audit concerning gender equity issues on campus. However, this is far from needed, as there has already been an audit last year to deal with these issues (the advice of which was ignored by Rollins). Students, like myself, want to see action, not mysterious talks behind closed doors that do no actual good. Rather than announcing another audit, action needs to be taken based on the previous audit. There have been enough delays already. The announcement of this new audit will only result in more delays, while the students who would benefit from a well-supported women’s center suffer.